For almost four centuries, this enlightened Buddhist Protector has been propitiated, trusted and relied upon by millions people worldwide, including virtually all of the greatest Gelugpa masters and scholars, past and present, such as His Holiness Kyabje Pabongka Rinpoche, His Holiness Kyabje Trijang Rinpoche and His Holiness Kyabje Zong Rinpoche. Given the significance of this Protector to the lineage of Lama Tsongkhapa and the great benefits that countless practitioners have derived from this practice over the centuries, it is with tremendous joy that H.E. 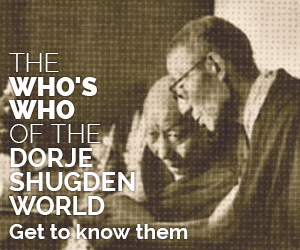 the 25th Tsem Rinpoche brings you this website about the holy practice of Dorje Shugden. This is without doubt, one of Rinpoche’s most important projects to date and his first endeavour to compile the vast quantity of source material regarding Dorje Shugden into a singular reference remarkable for its clarity, details and completeness. The materials contained within this site have been carefully researched, translated and vetted by leading scholars of the day and painstakingly gathered over many months before being presented here for your benefit. In these pages, you will find all you need to know about this tremendously powerful Tibetan Buddhist practice which is one of the most efficacious for this modern era. This site contains information that is practice-oriented, made available for the benefit of all spiritual seekers and Dharma students of all backgrounds, and free from politics or dogma. It is Rinpoche’s wish that many people may come to know the love and compassion of this great Protector and benefit from his enlightened kindness, and for all beings to be free from suffering through the wisdom of the Buddha’s teachings. When Rinpoche first conceptualised this website, our team was very enthusiastic and worked on it tirelessly for months. The team working with Rinpoche are dedicated, committed, talented and very compassionate people who choose to do works that benefit mankind. Kudos to our team here in Kechara who made this wonderful website possible! They are a special type of people who think of others more than themselves. May all beings benefit from this offering. We endeavor to continue to bring Buddha Dharma to those karmically ready and may all beings abide in peace, happiness and joy. Beloved for his unconventional, contemporary approach to Dharma, H.E. the 25th Tsem Rinpoche brings more than 2,500 years of Buddhist wisdom and teachings to the modern spiritual seeker by connecting ancient worlds with new people, cultures, attitudes and lifestyles. 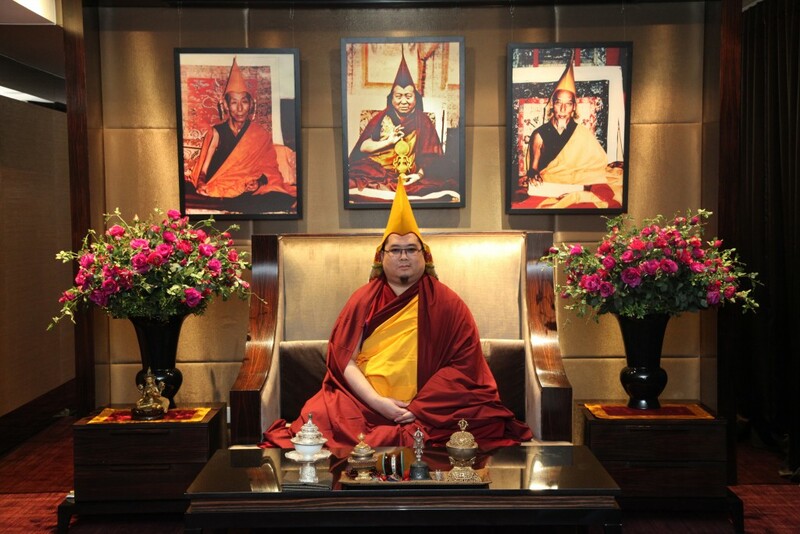 A Mongolian-Tibetan heritage, a childhood in Taiwan and America, intensive monastic studies in India and now the Spiritual Guide of the Kechara organisation in Malaysia – these are but some of the many facets that contribute to Rinpoche’s unique ability to effortlessly bridge the East and the West. His teachings bring the Dharma to our everyday lives and in doing so, he is able to bring the ancient time-honoured Buddhist philosophies and practices into the 21st Century. Rinpoche has been strongly inclined towards Dharma since his early childhood, and has studied under many great Buddhist masters of the Tibetan tradition. Following the advice of his beloved Guru, His Holiness Kyabje Zong Rinpoche, Tsem Rinpoche took his vows as a monk from His Holiness the 14th Dalai Lama and joined Gaden Shartse Monastery in South India when he was in his early twenties. His two preceding incarnations, Gedun Nyedrak and Kentrul Thubten Lamsang Rinpoche, had also studied at the original Gaden Shartse Monastery in Tibet. Gedun Nyedrak went on to become the lead chanter and, later, abbot of Gaden Monastery, while Kentrul Rinpoche brought the Dharma to the laypeople of the Phari district in Tibet. The tremendous and virtuous work of his previous lifetimes is reflected in Rinpoche’s present-day activities in Malaysia, where he continues this selfless practice of teaching vast numbers of non-monastic communities in places where the Dharma has just begun to bloom. During his nine years in Gaden, Rinpoche was involved in extensive charitable works including building schools for refugee children in India, building dormitories and upgrading living conditions for the monastic community, and providing long-term assistance to the poor lay community of Mundgod. Now, based in Malaysia, Rinpoche continues this immense work to benefit many with altruistic motivation. Through creative and engaging approaches, he tirelessly shares new methods of bringing happiness and relief to people from all walks of life, regardless of their religious faith. Be inspired by Rinpoche’s work and life at www.tsemtulku.com and share in his personal views and thoughts at www.tsemrinpoche.com.